Here at Cycle Art we have always sought out brands that stand out from the crowd and offer some of the very best quality in their sectors. Le Col is one of those brands. This is their story in their own words. 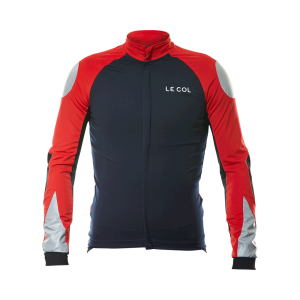 “After over 20,000 thousand hours in the saddle as a professional cyclist and rider for team GB, Yanto Barker founded Le Col in 2009. We are a team of performance, design and cycling specialists united by a desire to create a cycling apparel brand with a single-minded focus on performance. We take real pride in what we do and our purpose is simple but enduring: We deliver the best possible technical products to help you to achieve your potential on every ride. And because it’s aimed at supporting you through toughest hours in the saddle – our brand is named after some of toughest climbs around the world: Le Col.
At Le Col, we’re determined to design and manufacture the best technical kit in the world. That means we’re continually searching for ways to make to improve our products. It’s why we bought our own factory in Treviso, Italy – an area with renowned expertise in high performance sporting apparel and the latest technical materials. We believe whole heartedly in investing in expertise, which is why we bought the factory at a time when many other cycling brands were abandoning the area in search of cheaper alternatives.